PPG’s Teslin labelstock has received BS 5609 Section 3 certification when it is used in combination with the Toshiba e-Studio 3505AC, e-Studio 2515AC and e-Studio 3515AC printing systems. BS 5609 is a four-part standard recognized internationally as verifying label durability, and it includes two key certifications. For Section 2 certification, which PPG Teslin labelstock previously received, a base label must show good adhesive performance and dimensional stability after being immersed for three months in salt water. Testing for Section 3 assesses the legibility and print permanence of a base label printed with a specific print system. Together, the results of the two tests indicate a finished label’s durability after being subjected to weathering, UV radiation, temperature cycling and abrasion. PPG Teslin labelstock is compatible with print technologies such as inkjet, laser, thermal transfer, flexographic and offset. It offers bubble-free application and reduces the potential for static discharge when liners are peeled from labelstock – a process known to ignite chemical vapors in some manufacturing environments. The static-dissipative nature of PPG Teslin labelstock also helps minimize static build-up during digital printing, thereby improving print quality and throughput, PPG noted. 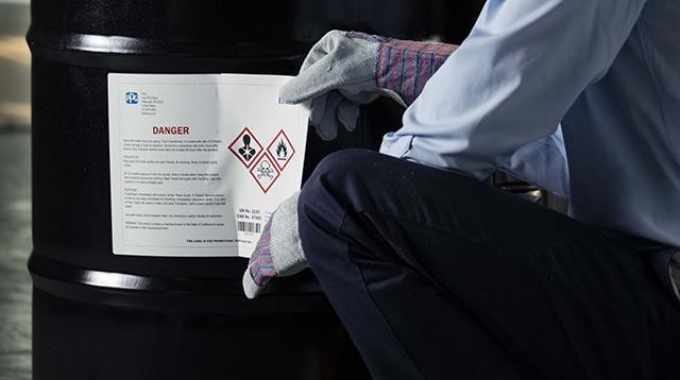 BS 5609 certification indicates that PPG Teslin-based labels printed with the Toshiba printing systems will remain intact and legible when used on chemical drums and other packaging for hazardous materials shipped by sea. The International Maritime Dangerous Goods (IMDG) code and the Globally Harmonized System (GHS) of Classification and Labeling of Chemicals require BS 5609 certification. 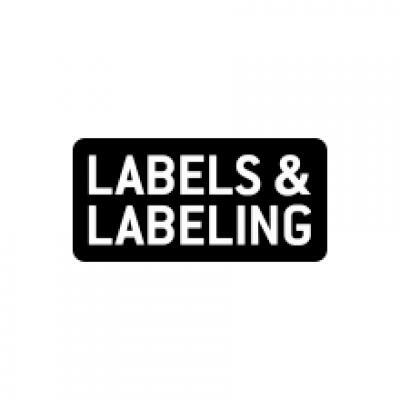 PPG’s tested labelstock construction, sold as PPG Teslin BS 5609-certified labelstock, is one of four standard options the company offers. Fabrizio Mandingorra, PPG segment manager for Teslin substrate products, said: ‘Toshiba is an industry leader in multi-function printers, and we are very pleased to have secured certification with these three Toshiba printing systems.